Bayonetta 2 for WiiU is super anticipated by us! Hell, just a few more days and Bayonetta 2 is finally released for the Nintendo WiiU! The EDGE Magazine gave it a 10/10 recently which is really damn rare they do that and it raised my excitement for this game even more while I personally won’t play it in the next weeks. Am planning to buy a WiiU when Smash Bros. is out for it and well..trying to grab a good deal if Nintendo will offer any packages similar to the one with Mario Kart 8 in the summer. 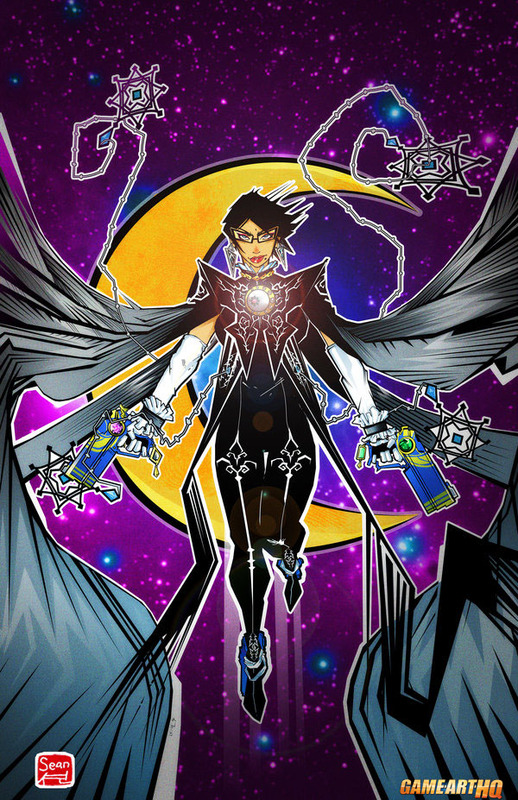 Sean Lenahan drew this amazing looking Bayonetta 2 fan art a couple of days ago and I totally loved his use of strong colors and his style in general!